Did you know that Jesus has 134 names and titles in the Bible? One of them is “Friend of Sinners.” Now, that doesn’t sound like a good title. We would rather have Savior, Lord, Priest, King of Kings, or Good Shepherd for his title. 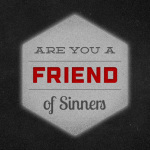 However, when I think about it, for us today in this contemporary world, “Friend of Sinners” makes a lot of sense. It is similar to titles like Advocate or Mediator, but those words are sometimes difficult to understand. We may know something of what “advocacy” means in principle, but few will have experienced its application in practice. 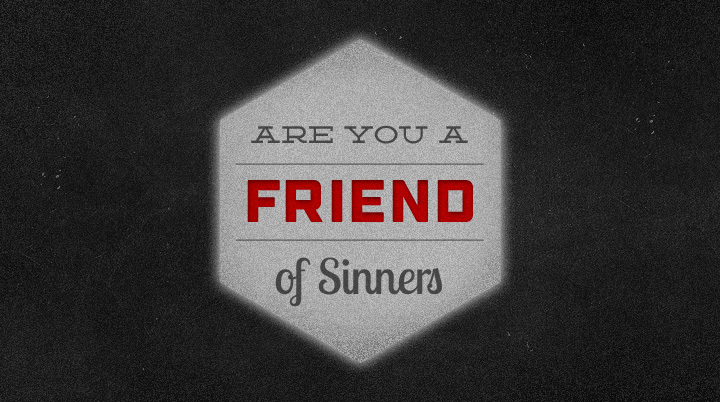 Who gave Jesus the title ‘Friend of Sinners’? Apparently his enemies did, and Jesus repeated it, to indicate their view of him. (Matthew 11: 16-19.). Jesus himself took the term on board, and it got embraced into the Church’s understanding. For in reality, it clearly points to God’s mercy, love and grace in Christ. Jesus Christ in John 15 clearly calls his disciples his friends. How we apply this term for ourselves is left to us to personally use our wisdom with the guidance of the Spirit and apply it both carefully and prayerfully. Now let’s look a bit more closely at the text, at John 8:3-11. Whatever Jesus might say; they intended to kill her. However, for all their wicked scheming; they would not dare to profane the temple, by killing her within it. She would be taken just outside the great wall of the city, to where the rubbish-dumps were, and there they would stone her to death. That’s what they intended to do, but first, they wanted to catch Jesus out, if possible, so they asked him, “Now, what do you say?” Jesus did not answer straight away. V.7. tells us that “they kept on asking him questions.” Those men had contrived an opportunity to do mischief, and they weren’t going to let it slip by without taking full advantage of it. When Jesus finally answered them, he did it in that wonderful way that he had of taking hold of a situation and directing its outcome, without actually breaking the law or even appearing to do so. He said, “If any of you is without sin, let him be the first to throw a stone at her.” I especially like the next part of the text: “At this, those who heard began to go away, one at a time, the older ones going first.” Those ‘older ones’ had been around longer than the others and had sinned more! Our reading goes on to say that they went away “until only Jesus was left, with the woman still standing there.” Then comes a particularly lovely part of the story of Christ’s mercy, love, and grace. V.10 says, “Jesus straightened up.” And the point is this. Here is a crystal clear picture of Jesus – God’s Messiah to a needy world – with tremendous compassion for all caught up in the ills of life, and he illustrates this in our text, by his wonderful gesture of acceptance, that gave the woman in question a whole new beginning. Jesus stood up, on a level with her, and asked, “Woman, where are they? Has no-one condemned you?” to which she replied, “No-one, sir.” Then comes the best part of the entire event, as Jesus gave that woman her freedom, and a warning not to risk losing it again. It wasn’t the accusers walking off, and leaving the scene, that gave the woman her freedom; it was Christ himself. She had come within a split second of being killed; but Jesus had rescued her from that horrible situation; and he did not want her to risk getting into another one. When Christ speaks for us; none may speak against us. Therefore, to us, the title “Friend of Sinners” makes a lot of sense, being rooted in the need of a special “someone” to speak for us, when all else may appear to be negative at the very least; or actually against us. But … if Jesus Christ is to be that “special Someone,” and speak for us; should we not recognize our need? And turn to him? The Bible teaches us that Christ, in his earthly ministries, did not condemn people, but offered them freedom from the consequences of their sins. Through God’s Son, Jesus Christ, love and grace prevails. “For God so loved the world that he gave his one and only Son, that whoever believes in him shall not perish but have eternal life. 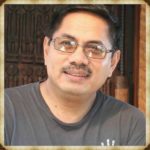 For God did not send his Son into the world to condemn the world, but to save the world through him” John 3:16-17 (NIV). Christ does not condemn. He is not only our Advocate, but also our Friend. He was a friend of sinners. No wonder he was invited to the dinner parties of sinners. Can you imagine that? Our Lord Jesus was invited by sinners to have a meal with them. And amazingly, Jesus joined them! Not to join them in their sins but be a friend to them and love them even while they were in their sins. This shows that He was trusted and respected to the extent that they liked him to be in their celebrations. He must also be a fun person, too. Or, he is one who they see as true friend and a caring person. Something to think about. 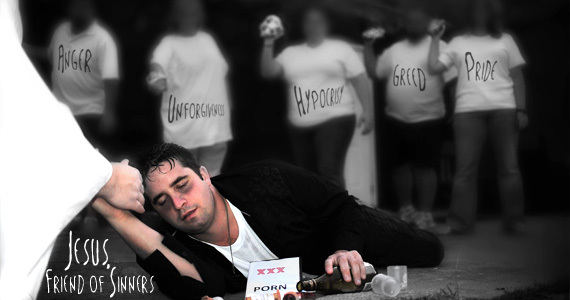 Often we interpret being “friends of sinners” as our effort to invite sinners of our liking to our parties and meals. We do it against our will (feeling guilty if we don’t invite) and honestly, outside our comfort zone. I know because I am such a person. Guilty as charged. Honestly, don’t we look at people as “projects” to evangelize instead of looking at them as real people that we genuinely care about? The reason why we try to be friendly is because we have an agenda. We want them to get converted. And if they don’t, they are not our friends. Isn’t this such a sad reality among many Christians? I don’t think that is genuine love. Yet in the case of Jesus, he was the one invited. Because he was considered a friend in the first place, they invited him to their meals. A good test to find out if we are “friend of sinners” is whether we get invited in their homes for a meal. In addition, are we going to join them when we are invited? If not, perhaps we are not their friends? Well, our Jesus is a friend of sinners. Let’s think about that.